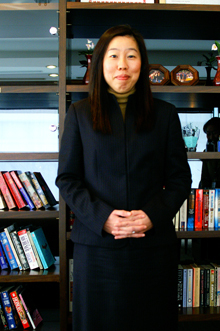 branch, Fraser Place, in 2004, Ms. Heng is the ideal choice to take Fraser Suites, Insadong to a new level of success. 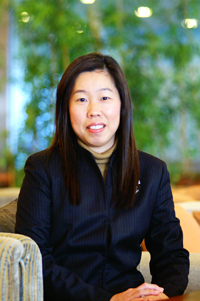 Beginning her career in the mid-1980s in her native country of Singapore, Ms. Heng has since worked across Asia in the hotel industry. The key to her success has been an absolute passion for her job: "This is my first job and hopefully my last as well," said Ms. Heng. Ms. Heng even had a part in the design of Fraser Suites, Insadong, and helped plan the current lifestyle focused services. These cater for the needs of the executive as well as his/her family. The facilities and interiors are designed to make each resident feel at home, with their own living room, kitchen, dining room, and bedrooms. In addition residents can enjoy all the luxuries offered by a regular hotel, from a fully-equipped gymnasium, heated pool, spa and Jacuzzi to broadband internet in every suite and public area. Beyond the gold standard facilities, Fraser Suites has created a community feel to the residency: "This sense of community helps our residents to adapt and draw on a support network from within the Fraser community. We do lots of staff training to meet the unique needs of every customer," said Ms. Heng. With a round-the-clock reception service to help with day to day needs and each suite assigned a personal housekeeper, every resident's stay should go as smoothly as possible. The quality of the staff is one of the primary assets of the company. "We view training as an investment, rather than the more traditional view of training as a cost," Ms. Heng said. The staff undergoes constant training and is encouraged to use a "needs" based approach when dealing with residents' requests. This means searching beyond the question to find the actual need of the residents, and satisfying that need in the best way possible. Whether it means simply calling a taxi, helping with language difficulties or accompanying a guest to the hospital, Fraser's staff is there to assist. Being the best requires catering to the unique needs of the customer, in every aspect of their stay. Fraser Suites constantly reassesses its services and upgrades to achieve this aim. Always welcomed with open arms and a happy smile, the idea is that any guest at Fraser Suites should feel as comfortable as they feel in their own home. 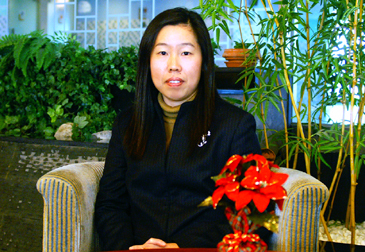 Ms. Heng has been the general manager of Fraser Suites, Insadong since January 2005. The following is the full text of questions and answers of The Seoul Times inverview with General Manager Sallin Heng. Q1: What sets the Fraser Suites apart from other hotels offering extended-stay accommodation in Seoul? A1: We will continue to be innovative and be different. A major part of our success is our well-trained staff on all levels. We give extensive and ongoing training, not just "on-the-job" but also extending to classroom training, re-enactments, role-plays, and discussions. For us training is not a one-time activity but rather an ongoing INVESTMENT. Because we view our staff and our service level as assets that set us aside from the competition, we view training as an investment, rather than the more traditional view of training as a cost. Because of this we are willing to commit more resources and the result is a more comfortable, and enjoyable, stay for our residents. We have termed the training that we give our staff "needs training" because we encourage and empower staff to deliver "needs service," which is service that not only addresses the direct question a resident might have, but goes deeper to ascertain the actual need. For example, when one resident asked a member of our staff for a contact for a babysitter, the housekeeper ascertained she urgently needed help to take care of the children to attend to a family matter, so the housekeeper took on the role of babysitter, even staying overnight with the child – this is the sort of initiative and service that we encourage and that distinguishes Fraser from other extended stay serviced residences. 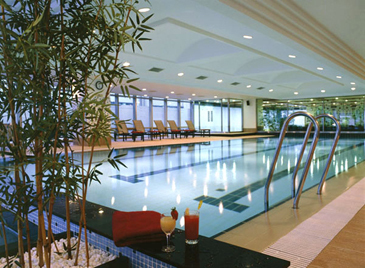 Fraser Suites, Insadong Seoul not only provides lifestyle-focused services, but also class leading facilities. We stand as the pioneer in the serviced residence market in Korea and distinguish ourselves from other competitors by providing a life-styled package to meet not only the executives staying in Korea but also their families. Beyond gold standard service, residents at Fraser Suites enjoy modern business and recreational facilities such as a comprehensive business center with conference room and meeting facilities, a world's first rooftop driving range, an indoor heated swimming pool with separate children's pool and jet pool, a fully equipped fitness center with an aerobic/exercise area and an indoor children's playroom amongst others. Q2: Who is your target clientele and what methods do you use to attract them? A2: Business visitors and executives on medium to long-term stay are our target clientele. Hotels provide limited space for extended stay, which is anything longer than two weeks. At Fraser Suites, we offer a lot more "living space" and with facilities like gourmet kitchen and separate bedrooms, we offer the comforts of home. Beyond the space and rooms, we also offer customized living spaces, like designing themed rooms for children or a SOHO (small office home office) setup. For executives traveling with their spouse or family, Fraser Suites also offers activities and events to make them feel more at home. Q3: The Fraser Suites have earned the title of a "home away from home" – how do you achieve this effect? A3: The interior design was designed more like home living; all suites have separate living room, dining room and bedrooms. The staff is trained to address customers by name and the greeting is always 'Welcome Home.' Personalized housekeeper assigned to each suite and low staff turnover as familiar faces serve customers. No worries during out station as the home will be taken care of by the personalized housekeeper. Q4: Only one year after joining the Fraser Place in Manila, you achieved the highest occupancy rate of any Fraser Suites branch – how did you do it? A4: In late 2003 throughout the region many organizations were taking a 'wait and see approach" to development and investment, largely due to market uncertainty over the future economic direction in the Philippines. Following the elections in May, the picture became much clearer and there was a strong influx of foreign investment. As the business environment strengthened, and we were able to make visitors feel secure in both the Philippines in general, and Fraser in particular, occupancy picked up from an average 80 percent in 2003 to 95 percent in 2004. We also largely targeted a very niche market that was able to appreciate the offering of Fraser Suites, from security to family living, from facilities to service. Q5: Will you use the same strategies to achieve success in Seoul? If not, what will you do differently? A5: Business strategies do vary from one country to another. However, the one factor that remains the same is the Fraser commitment to quality design and excellent facilities, mated with exceptional service. For here, language is always a problem for foreigners to get around. Round the clock reception service is important for anything small such as calling a taxi to accompanying an unwell resident to hospital. Our staff will focus more on helping our residents with all of the day-to-day situations they will experience outside Fraser. Given the language difficulties, creating community living, as the in-house activities become more important for residents to meet each other and also outdoor activities to expose this culturally rich country. This sense of community helps our residents to adapt and draw on a support network from within the Fraser community. We do lots of staff training to meet the unique needs of every customer. Q6: You had a part in the interior planning of the Fraser Suites – what did you aim for and why? A6: It was in 2000 that I was involved in planning this project. We were, and are, very focused on making this "The best serviced residence" in town. Our aim is "Home Living" that is needed by any customer. Right from busy business executives that need a spacious and well equipped gymnasium to a full spa with steam room, sauna, hot and cold jet pool facilities, indoor heated pool for the all year round, internet broadband in all suites and public areas etc. This also includes the family that needs children's playrooms, lounge and multi function rooms for gathering, to a library for reading etc. and pool table leisure. Interior design was based on a unique fusion of contemporary luxury and Korean charm designed to expose our guests to Korean culture, while at the same time make them feel comfortable and at home. Q7: Do you have any plans to enhance the current facilities offered in Insadong? Some décor renovations for suites. Enhancement works for multi function rooms, conference room, spa area, residents' lounge etc. Q8: It has been reported that there is a great deal of international expansion planned for the Fraser Suites – where will this be and will you be involved? A8: We currently have 14 properties mainly in London, Paris, Glasgow, Shenzhen, Singapore, Bangkok, Manila, and Seoul. More to come are Dubai, Bahrain, Sydney, and Beijing. I will help out in the pre-opening of the property. Q9: Have you encountered any difficulties with the Korean culture since your appointment as GM at Fraser Suites, Insadong? If so, what were they? A9: I would say every country has its own culture and work practices, but as a company, we have a very strong company culture and core values for our employees. These make it very easy for us to relocate from one country to another. So far, I have worked mainly in Asia and the experience that I have had in Singapore, Hong Kong, Bangkok, Manila, and Shanghai were very pleasant and there were no major difficulties dealing with the different nationalities, as all these countries were very pro tourism and the employees were well trained. What is interesting that I found in Korea, although I have only been here since Jan. 05, is that Koreans are very efficient in their work; they will complete the given task before the deadline. Q10: You have spent about twenty years in the hotel industry – what inspired you to enter the profession and remain in it? A10: The work and the people. I enjoy what I am doing and have a lot of passion for my job. This is my first job and hopefully my last as well. The above photos were taken by Charles Park, staff reporter of The Seoul Times. Is It Time to Panic about Bird Flu? Melissa Cullen, who serves as an associate editor and staff writer for The Seoul Times, studied Linguistics at University College London before making the move abroad. She has lived in the USA, the Middle East and is currently living in South Korea. Her writing covers a variety of local and global topics.